The second semester of school has just started for these children, and Operation Dove has compiled the following report of the challenges faced by the children during the first semester. 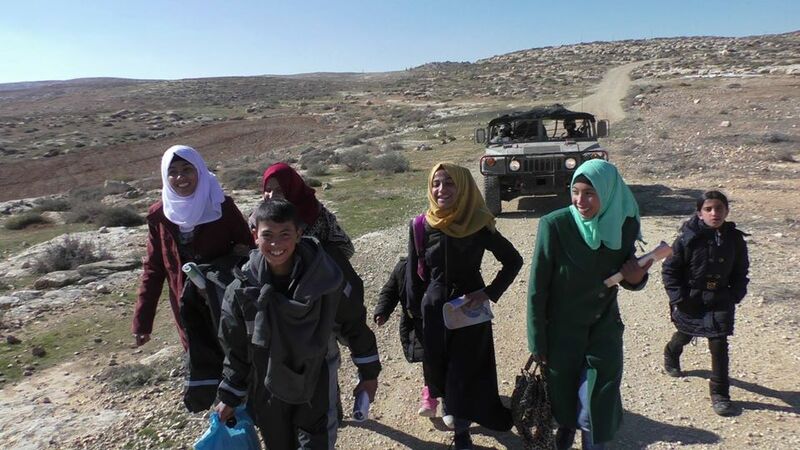 Operation Dove’s campaign #TogetherAtTuwani provides volunteers in the South Hebron Hills to support Palestinian shepherds as they remain on their land and choose to use nonviolent means, along with Israeli activists, to protect their lives and rights. Operation Dove volunteers were first called to the village of At-Tuwani in 2004. Today, 13 years later, they still share daily life with communities throughout the South Hebron Hills. They support the popular nonviolent resistance by accompanying Palestinians on lands vulnerable to settler attacks and to harassment by Israeli soldiers. You can donate to this effort.